Eesti Pank is opening its doors on 19 February from 13.00–17.00 to present the two-euro circulating coin with a special design dedicated to the 100th anniversary of the Republic of Estonia in the bank's Independence Hall. The presentation will start with a short production based on the Estonian Salvation Committee, after which coins and coin card will be on sale to the public. “We are inviting people to the Independence Hall of Eesti Pank so we can present the two-euro coin with the special design dedicated to the anniversary of the Estonian state, which is being symbolically minted with one for each person in Estonia. As the two-euro coin is valid throughout the whole euro area, this coin will tell other Europeans about our celebration”, said Ardo Hansson, Governor of Eesti Pank. 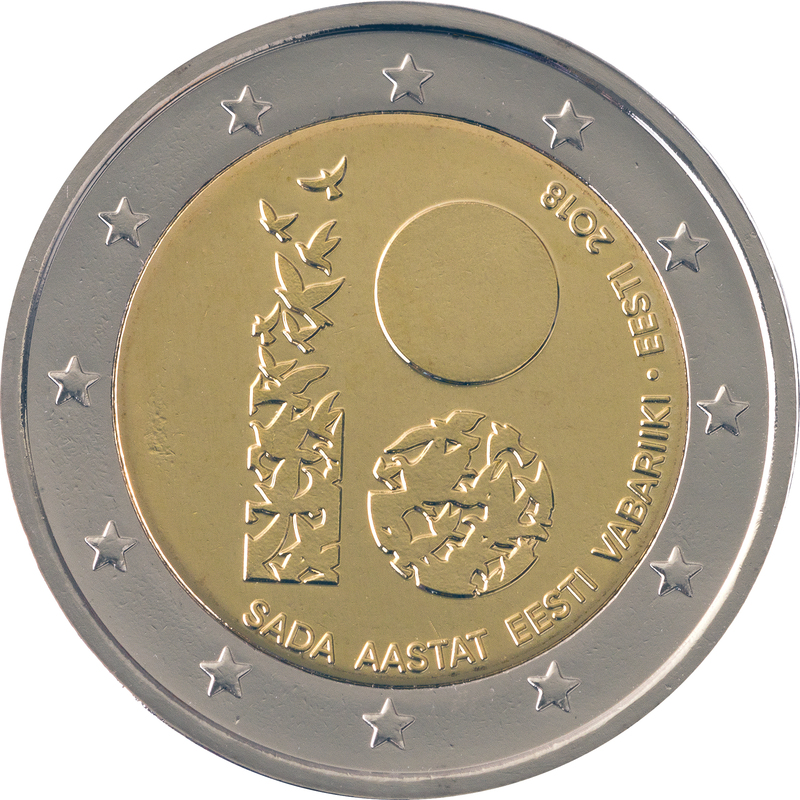 The commemorative coin is intended to symbolise the people of Estonia, and so 1,317,800 coins will be minted to match the population of Estonia on 1 January 2017. From 19 February the anniversary coins will start to enter general circulation through retailers. The commemorative coin dedicated to the 100th anniversary of the Republic of Estonia will be presented in the Independence Hall of Eesti Pank, which is itself a symbolic location for Estonian sovereignty as it is the place where the Provisional Government was formed on 24 February 1918. As part of the week of events marking the national centenary, the Independence Hall will exceptionally be opened to the public on 19 February from 13.00 to 17.00. The special design on the national side of the coin features the official national logo for the centenary, which can be read as the numbers 18 and 100, linking the year the state was founded with today. The commemorative coin was designed by the concept and design agency Identity and is being minted in the Lithuanian Mint. On sale alongside the coin will be a coin card and a folder of circulation coins for 2018. Visitors to the coin presentation in the Independence Hall of Eesti Pank will need to pass through security checks. Entrance to the central bank will be through the main entrance on Estonia pst near the corner of Kentmanni. 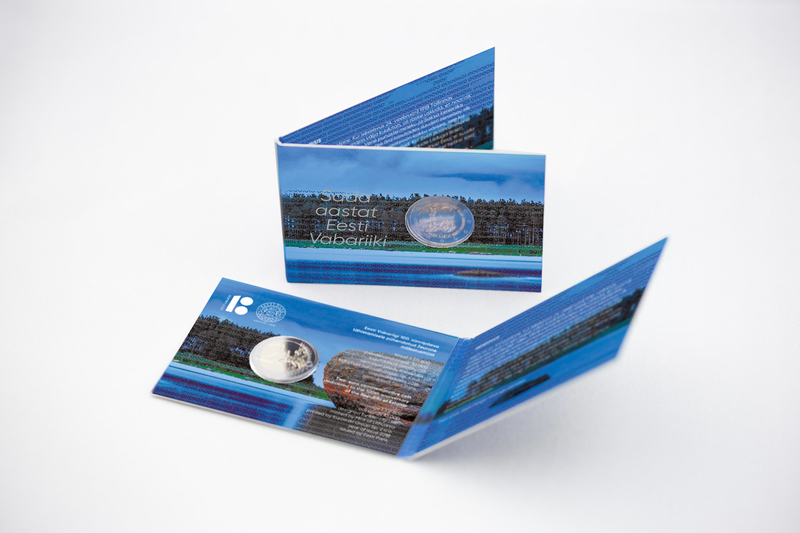 The commemorative coin, the coin card and the folder will be on sale from 13.00-17.00 on 19 February after the presentation event in the Independence Hall of Eesti Pank and from 13.00 in the Omniva online store. The Eesti Pank museum shop will sell the coin and related products from 12.00 on 20 February. There will be 10,000 coin cards printed, which will sell for 10 euros each. The coin card is designed by Identity design agency. The coin card will also be on sale in the post offices of Eesti Post that sell collector coins and other collector items, but the post offices will not sell individual coins or rolls of coins, or the coin folder. 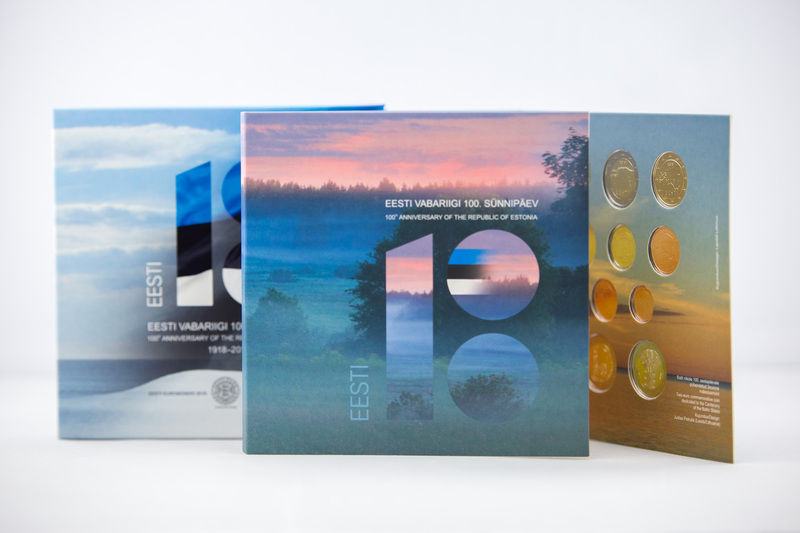 The coin folder will contain ten coins in total, eight of which are euro coins issued by Estonia in 2018 and two of which are commemorative coins. All the coins in the folder have brilliant uncirculated (BU) finish. There will be 5000 coin folder issued which will sell for 20 euros each. The folder is designed by Vladimir Taiger. The coin card and folder are printed by Kurowski Group Sp. z o.o. Each purchaser may buy up to five coin cards and two coin folders. The coins, coin cards and coin folders cannot be booked in advance. Individual coins and rolls of coins will be sold at their face value and up to ten rolls of commemorative coins can be bought in each purchase. Eesti Pank retains the right to change the amounts on sale in response to demand.